Under contract with UDOT design Consultant, SUE Solutions performed Quality Level ‘A’ Subsurface Utility Engineering services for this UDOT project, which is part of the Mountain View Corridor Project, located in Lehi, Utah. The UDOT Consultant identified four locations which conflicted with the ongoing project design. 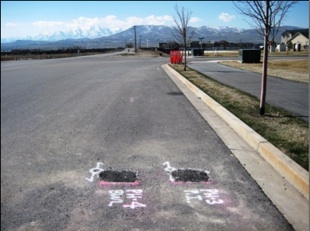 SUE Solutions coordinated their Level ‘A’ locating services with the design consultant, local Blue Stake contractors, and Lehi Water Department, successfully completing the potholing services. 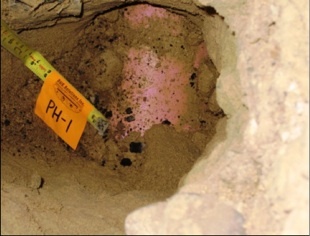 SUE Solutions locating services were completed through the use of non-destructive means (vacuum excavation and compressed air) to expose existing utilities gathering critical utility data such as depth, size, material, and material type. This data is to be used to further design the roadway and utility improvements. Utilities potholed and exposed consisted of culinary water lines and pressurized irrigation water lines.